The members of the Nevada Economic Forum met earlier this month and came up with a forecast for how much the total state general fund revenues will be for the next two years. The Economic Forum was created by lawmakers in 1993. It is responsible for providing forecasts of revenues for each upcoming biennial budget period. The figures are binding on the governor and the Legislature in crafting a budget, so they don’t wildly overestimate potential revenue and cause a budget crisis when funds come up short. The forum members reported that the past two-year’s revenues turned out to be $8.244 billion and the coming two-year period should generate 7.2 percent more funds or $8.835 billion, after application of all applicable tax credits, of which there are a number. Outgoing Republican Gov. Brain Sandoval has already drafted a budget for the next biennium, which will be handed over to incoming Democratic Gov. Steve Sisolak and the majority Democratic lawmakers, who take office in January. Of course, they all appear to anticipate spending every last dime of that $591 million windfall even though current inflation is running only 2.5 percent. Much of the anticipated money is being targeted for expanded Medicaid under ObamaCare and various education spending schemes. May we be so brazen as to suggest that taxpayers might appreciate an “initiative” that lets them keep a bit more of their paychecks. Or at the very least pour more of that anticipated-but-not-guaranteed revenue into the rainy day savings account for that time in the future when the outlook is not so rosy, because everyone knows that once government spends a certain amount of money it expects to continue to do so in perpetuity. For the record, from 2011 to 2017 the state general fund budget grew by 32.3 percent, while inflation amounted to 7.9 percent. Though we know we are whistling in the Democratic wind, we also suggest that the burdensome commerce tax passed in 2015 as part of Sandoval’s $1.5 billion tax hike be repealed. The tax was imposed even though the voters in November 2014 rejected a commerce tax at the ballot box by 79 percent to 21 percent. The commerce tax is expected to generate only $445 million in the coming biennium and could be covered by that extra $591 million in the projection. Every Nevada business must file a commerce tax form with the state, even if the business owes no tax. For many, compliance costs exceed the taxes owed. That is a hidden tax on the state economy and retards job growth. Lawmakers should think about the burden on taxpayers as well as the beneficiaries of their customarily spendthrift ways. “No man’s life, liberty, or property are safe while the legislature is in session,” is often attributed to Mark Twain. Though the quote is most likely apocryphal, its veracity is likely to be affirmed when Nevada’s newly elected lawmakers gather in early 2019 in Carson City. The voters, primarily in the urban counties of Clark and Washoe, have loaded up the Legislature with Democrats — a two-thirds supermajority in the Assembly and one shy of a supermajority in the state Senate. And that seat could swing to the Democrats if a planned recount in a district in Clark County changes the outcome. The Republican candidate won the seat by a razor-thin 28 votes. That supermajority is significant because it takes two-thirds of each wing of the legislative building to pass any tax increase. This is due to a constitutional amendment known as the Tax Restraint Initiative pushed by former Republican Gov. 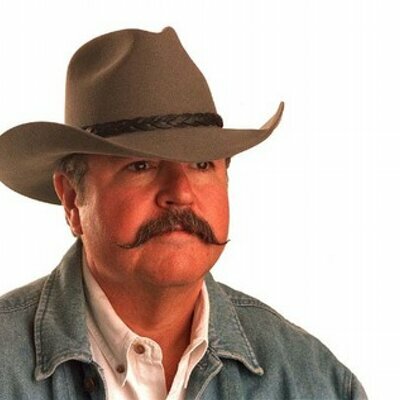 Jim Gibbons and approved by voters in 1994 and 1996. 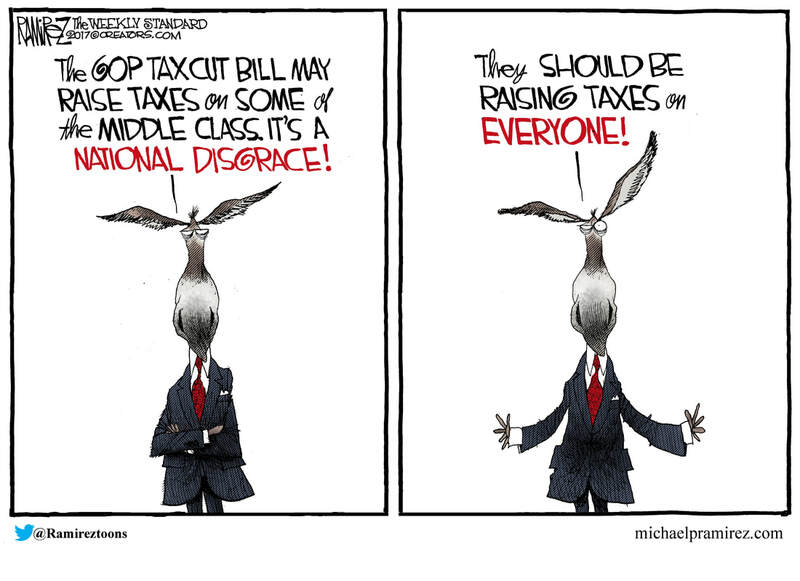 Recent legislative sessions have proven that the Democrats are salivating for higher taxes to satiate their public union enablers in state and local governments and the public education system. To add to the level of jeopardy, Nevada has elected a Democratic governor, former Clark County Commissioner Steve Sisolak, who is unlikely to wield a veto pen on any tax hikes that reach his desk. In an interview shortly after the election, Sisolak said, “I’ve committed, we’re not going to be raising taxes. That’s not my intent,” saying existing funds could be reallocated. But earlier in the campaign he told an interviewer, “One of the ways we’re going to have to pay for it, and people don’t want to hear it, is property taxes.” He also has a track record of backing tax increases. He was a key backer of spending tax money to build a professional football stadium in Las Vegas for a billionaire team owner. On top of that, the lieutenant governor, who presides over the Senate and can vote in the case of a tie is Democrat Kate Marshall. Additionally, the state treasurer, controller and attorney general are all Democrats. One of the more likely targets will be our property taxes. Currently the state imposes a cap on annual property tax increases — 3 percent for homes and 8 percent for businesses. There has been talk of changing that, as well as eliminating or altering the depreciation on property assessments currently allowed by law. Such changes could cause property taxes to double or even triple in some cases. Sales taxes hikes, adjustments to the Commerce Tax on businesses, as well as various fees are likely to be on the table. Democrats are also likely to be open to proposals to allow state public employees to unionize just like local government public workers, who currently are paid 46 percent more than those in the private sector in Nevada — 57 percent more when generous retirement benefits and paid leave are accounted for. Guess who would pay for that. There is also discussion about ending Nevada’s status as a right-to-work state, which would devastate small businesses. Additionally, Sisolak and many of the incumbent and newly elected Democrats have expressed a desire to increase the minimum wage incrementally toward $15 and hour, which also would cripple many small businesses and drive some from the state. Keep your phones and your pens handy in the coming months. You’ll want to use them to let our representatives in Carson City know what we think of these potential legislative efforts. Newspaper column: Should each county get a single state senator? Republican Sen. Pete Goicoechea is the District 19 incumbent and was not up for re-election this year. The blue Clark County tail wagged the red Nevada dog in this past week’s election. Election results show rural and urban Nevada are of two vastly different states of mind. For example, in the race for the U.S. Senate, Democrat Jacky Rosen carried only Clark and Washoe counties, while Republican incumbent Dean Heller won every other county handily. In the more heavily unionized, redistribution-favoring and thus Democrat-leaning Clark and Washoe, Rosen gleaned 55 and 50 percent of the votes, respectively. Whereas, for example, in Elko County Heller netted 76 percent of the vote, 72 percent in White Pine, 79 percent in Lincoln, 75 percent in Esmeralda, 63 percent in Storey, 72 percent in Churchill, 79 percent in Lincoln and a whopping 84 percent in tiny Eureka. Quite a spectrum shift. The state’s only Republican representative in Washington now will be Mark Amodei, whose 2nd Congressional District covers the northern half of the state and excludes Clark. Amodei won in every county and his Democratic opponent only came within spitting distance in Washoe and Carson City. Amodei took Elko with 80 percent of the vote, Humboldt with 79 percent and Lander with 82 percent, for example. Republican Cresent Hardy won in every county in the 4th Congressional District in the southern half of the state except Clark, while the other two Congressional Districts are solely in Clark and were easily won by Democrats. Incumbent Republican Secretary of State Barbara Cegavske edged out 30-year-old inexperienced Democrat Nelson Araujo by less than 1 percentage point, though she won handily in ever county except, you guessed it, Clark. The Democrats in the state Assembly are all from Clark and Washoe. The rest of the state picked Republicans. Due to the overwhelming population of Clark and Washoe, there is now a supermajority of Democrats — 29 out of 42. Now, if the Democrats can wail about how unfair it is that the 2016 presidential election was determined by the Electoral College — in which each state gets a vote for each representative in Congress, which is determined by population, and each state gets two votes for each senator no matter population — and not by popular vote, which, yes, Hillary Clinton and not Donald Trump won, it seems only fair that we be allowed to deign to suggest that Nevada could change its governing bodies to more closing match the federal system created by the Founders. In 1919 the Senate started a practice called “Little Federalism,” where each county received one member of the Nevada Senate regardless of population of said county. This set the Senate membership at seventeen which lasted until 1965-1967. The Supreme Court of the United States issued the opinion in Baker v. Carr in 1962 which found that the redistricting of state legislative districts are not a political questions, and thus is justiciable by the federal courts. In 1964, the U.S. Supreme Court heard Reynolds v. Sims and struck down state senate inequality, basing their decision on the principle of “one person, one vote.” With those two cases being decided on a national level, Nevada Assemblywoman Flora Dungan and Las Vegas resident Clare W. Woodbury, M.D. filed suit in 1965 with the Nevada District Court arguing that Nevada’s Senate districts violated the equal protection clause of the Fourteenth Amendment of the Constitution of the United States and lacked of fair representation and proportional districts. At the time, less than 8 percent of the population of the State of Nevada controlled more than 50 percent of the Senate. The District Court found that both the Senate and the Assembly apportionment laws were “invidiously discriminatory, being based upon no constitutionally valid policy.” It was ordered that Governor Grant Sawyer call a Special Session to submit a constitutionally valid reapportionment plan. The 11th Special Session lasted from October 25, 1965 through November 13, 1965 and a plan was adopted to increase the size of the Senate from 17 to 20. A federal judge in San Diego on Friday put the final nail in the coffin of a California law intended to require pro-life pregnancy clinics to advertise the state’s abortion services. The Supreme Court earlier ruled 5-4 in NIFLA v. Becerra that the state law likely violated the First Amendment by compelling speech and remanded the case to the district court for a hearing on the evidence. The FACT Act required clinics licensed by the state to post a bulletin relaying information about abortion access in a “conspicuous place” within the facility. Unlicensed clinics — which provide various support services but do not offer advanced medical care — must disclose that they are not credentialed to practice medicine on site and in all advertisements. The National Institute of Family and Life Advocates (NIFLA) challenged the law on constitutional grounds, arguing it violated the First Amendment because it forces a private speaker to spread a message with which they disagree. Nevada Attorney General Adam Laxalt, who is running for governor, signed onto to an amicus brief in the case with 21 other states, challenging the law as an unconstitutional burden on free speech. His Democratic opponent Steve Sisolak criticized Laxalt for taking such a stance. The court’s have agreed with Laxalt. Both sides of the national abortion argument, plus free-speech rights, are at the center of Supreme Court case NIFLA v. Becerra. (AP pix). Let’s just say the poll that the morning newspaper bannered — the one showing Republicans Dean Heller and Adam Laxalt likely to win their races — is a bit squirrelly. The highlighted results reported by the paper show that among likely voters incumbent Sen. Heller is beating Democrat Jacky Rosen by 47 percent to 41 percent and governor candidate Laxalt is beating Democrat Steve Sisolak by 46 percent to 41 percent, both outside the margin of error. First, the poll itself, conducted by Reuters and Ipsos polling in conjunction with the University of Virginia Center for Politics, reports that it interviewed 2,001 adults in English — apparently ignoring those potential voters who primarily speak another language — and 1,137 of those were determined to be likely voters. It said 509 of the likely voters were Republicans, 507 Democrats and 77 independents. Stats for those three categories were used throughout the poll, though they add up to only 1,093, not 1,137. What happened to the others is a mystery. Further, the poll also shows that among all the 2,001 adults polled 50 percent said they were completely certain to vote by Election Day, while among those 1,137 “likely” voters 79 percent said they were completely certain to vote. Still further, the Nevada Secretary of State data shows 38.3 percent of currently registered active voters are registered as Democrats and 33.5 percent as Republicans and 28.2 percent as some other party or no party. The poll’s likely voter ratio 46.7 percent Republicans, 46.5 percent Democrats and 7.1 percent “independent.” Not exactly a match to the real world to begin with. Though the ratio of the “likely” voters polled did not match actual registered voters, the poll did report more Republicans were certain to vote than Democrats — 83 percent vs. 76 percent. While the paper highlighted the likely voter count, the poll itself found that among all adults — 50 percent of whom say they are completely certain to vote — the outcome shows Heller with 34 percent and Rosen with 35 percent, while Laxalt polled 34 percent and Sisolak 35 percent. It also could be noted that among the underrepresented “independents” in the poll Rosen out polls Heller 48 percent to 19 percent and Sisolak bests Laxalt 38 percent to 31 percent. The only poll that counts is Election Day. Just ask Hillary Clinton. Newspaper column: Who has the better plan for Nevada’s economic future? That is our choice when it comes to electing the next governor of Nevada. 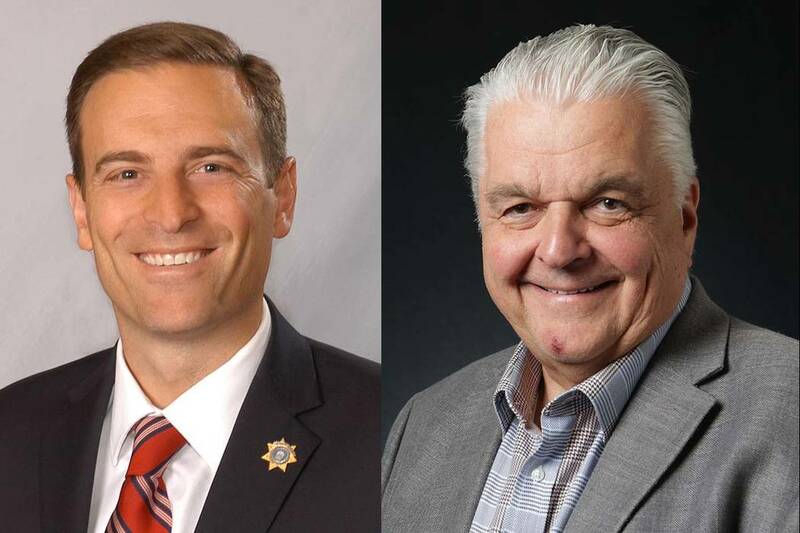 Republican Adam Laxalt, currently the state’s attorney general, has outlined clear and precise plans for helping grow the economy of the state, while Democrat Steve Sisolak, currently a Clark County commissioner, offers vague platitudes. He offers that a low tax burden allows private businesses to innovate, expand and hire more workers. He has specifically called for the repeal of the burdensome and complex commerce tax pushed through the Legislature by Gov. Brian Sandoval. For his part Sisolak has called for a repeal of the property tax cap that limits annual property tax increases to 3 percent for private residences and 8 percent for commercial property. He also supported increasing room taxes in order to spend $750 million in public money to build a stadium for a billionaire professional football team owner. Laxalt has opposed raising the minimum wage, which would hurt small businesses’ ability to hire young and low-skilled workers, while Sisolak has supported increasing the minimum wage. Laxalt supports the Energy Choice Initiative, Question 3 on the November ballot, that would allow businesses and home owners to seek less expensive electricity suppliers, but Sisolak has come out against it. Laxalt is also calling for reining in Nevada’s burdensome business licensing requirements that are the second-strictest in the nation, second only to California. “Upon taking office, I will propose an immediate freeze on all business license fees at current levels until we can put forward a thorough, open-to-the-public review of the revenue and whether the fees are becoming too disadvantageous and onerous for Nevada’s job-providers, particularly our small businesses,” the Republican candidate proposes. Sisolak wants the government to continue to pick winners and losers as it has with tax breaks and handouts for electric car companies and a football stadium and expand giveaways to small businesses. “Support Nevada’s small businesses with incentives and grants so it’s not just the big companies that benefit from our help,” his website states. While Sisolak pushes the notion that government knows best, Laxalt understands that government should get out of the way. That sounds like a sound plan.